This exciting Christmas event brings all the magic and joy of the holiday season to downtown Montreal. Le Grand Marché de Noël runs from December 2nd until December 24th at Place de Arts and it is a great place to bring the whole family. There are many Christmas themed shows, free outdoor activities and plenty of delicious food and drinks for all. There is also a wonderful Christmas bazaar at the center of this event, which is one of the best places to find the perfect gift for your loved ones this year. Close to condos Octave and St Dominique as well as Myriade Apartments and B&C Apartments. Old Montreal is an enchanting place at Christmas time and this one-of-a-kind Christmas event helps to make it even more special. Le Marché de Noël is a wonderful event that is held at Place Jacques-Cartier every Thursday to Sunday throughout the month of December. It is a fantastic place to meet friends and indulge in some gourmet foods while also discovering some of Quebec’s best microbrews. You can also get some excellent Montreal-exclusive gifts here so be sure to have some extra cash handy in your wallet. This exciting Christmas festival includes over 100 shows and a multitude of other free activities happening at three different downtown Montreal parks throughout the month of December. 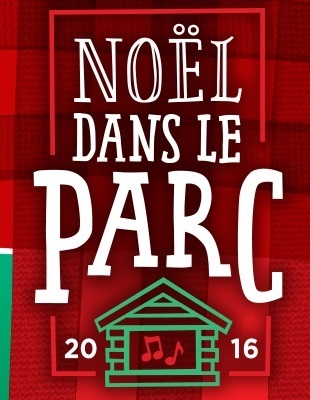 You definitely won’t get bored this holiday season with so many activities to choose from at Parc de Compagnons de Saint-Laurent, Parc Lahaie or Place Émile-Gamelin. You can go for a sleigh ride, warm your feet around a bonfire, meet Santa Claus, shop for your Christmas gifts and you can even buy an organic Christmas tree here that will be delivered right to your door. This outstanding Christmas event is surely one not to be missed! Parc des Compagnons de Saint-Laurent market is close to Quartier Rivard and X Star Condos. Parc Lahaie market is close to Rosemont sur Le Parc and Quartier Rivard Condos. Place Émilie Gamelin market is close to condos Octave and St Dominique as well as Myriade Apartments and B&C Apartments.